Along with these, periodic dramas too played a major role in the success of Bollywood in the recent years. The huge market expansion made the filmmakers experiment on new genres and some of the films have been restricted on the basis of budget. The actors too hiked their remunerations after they established a decent market. Top filmmaker, Vidhu Vinod Chopra has been busy with multiple projects and he has scored massive hits in the recent times. He came up with Munnabhai series, 3 Idiots and PK out of which all the films have been declared as blockbusters at the boxoffice. 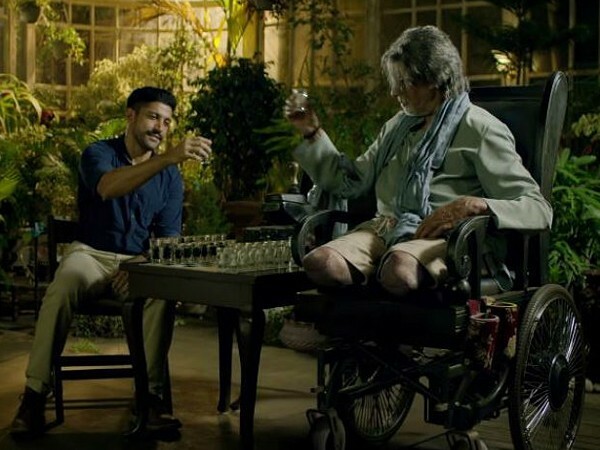 He has been penning many scripts from some time and he has closed a script which has been opened by Bejoy Nambiar after many years which has been titled as Wazir. Vidhu Vinod Chopra too wanted Bejoy Nambiar to direct the movie after he has been impressed with the work of Bejoy in films like Shaitan and David. The film has been made on a budget of Rs 30 crores and Big B Amitabh Bachchan, Farhan Akhtar played the lead roles in the film. Amitabh played a paralyzed chess master in the film and Farhan played a suspended cop in the movie. Aditi Rao Hydari and Neil Nitin Mukesh played the other important roles in the film. Wazir has been produced by Vidhu Vinod Chopra on Vidhu Vinod Chopra Films and the movie has been shot in 60 working days. The cinematography and the music of the movie have been taken enough care of. The flick opened to decent response and 60% occupancy across the world. Though the word of mouth has been mixed the film collected Rs 5.61 crores on its opening day across the country. The movie witnessed growth on Saturday and it collected Rs 7.16 crores. Wazir collected Rs 24.21 crores on four days of its box-office collection and the movie minted Rs 2 crores on its fifth day of its run. The movie collected Rs 26.30 crores in five days among the domestic circles. The film has also been strong in the international circles and The flick minted Rs 13 crores in five days. Amitabh Bachchan and Farhan Akhtar’s terrific performance are said to be the major highlights of the film. The movie is said to collect decent money as there are no other releases in the coming week.